Welcome to BCL Forums! Introduce yourself here! Whoa... How long has it been?! Do you have questions about the forums? Ideas for improvements? Post them here. Latest news and updates about the Fatal Frame series. News and updates related to the Fatal Frame fandom. Do you load your progress or start from the very beggining? 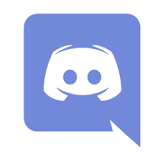 Thanks to Rezz there's now a Fatal Frame Discord server! Click HERE to join. Should probably burn a CD and have some tunes for my car. I have so much music on my computer ATM that it's hard to choose! Will this hunt please the Goddess? Hello. I am Baymax. Your personal forum healthcare bot.